MIT Solve 2018 Challenges Finals in NYC! We pitched at MIT Solve! In late September, cofounders Samson Wambuzi and Erin Fitzgerald met in New York City during UN General Assembly week to pitch Yiya at the MIT Solve 2018 Global Challenge Finals! Yiya was among 15 finalists working in the field of education who were selected to pitch before a panel of experts in international education and the impact sector. It was such an exciting event! You can watch our Yiya pitch at this premier social impact event here. NOTE: Our pitch is in the Teachers and Educators video (the second video on the page), and the clip starts at 9:49 in the video. Although we were not ultimately selected to be part of this year’s MIT Solve cohort, the MIT Solve Challenges Finals were an amazing opportunity to debut Yiya on the world stage! We’ve greatly expanded the Yiya network through the connections we made at this event and the interesting and influential people we met while there! In addition, it was a highly impactful learning opportunity for our team. We received detailed and constructive feedback from the panel of judges after our pitch. The judges felt that the Yiya program has a very inspiring and impactful model, with both an innovative approach to teacher trainings AND innovative content offered in those trainings. They appreciated our efforts to recruit and support more female students in STEM as well as our continued focus on gender balance in all our program components. The judges said they were impressed with the progress Yiya has made in only 2 years of operation and they highly encouraged us to apply next year! For 2019, they recommended that we work on defining very specific impact indicators to prove our program is achieving the results that we are aiming for, and then collect data on those indicators. They also recommended we think about what Yiya will look like at scale, and build systems now to support our eventual scale later. This was all really exciting and helpful feedback from a panel of very experienced and knowledgeable judges. We are super excited to put it into practice and come back even stronger to the MIT Solve 2019 Challenges! Many, many thanks to all the friends and family who supported us through this thrilling experience, including ResilientAfrica Network, Natembea Foundation, Thin Void Ltd, Unreasonable East Africa, Impact Business Leaders, Oysters & Pearls, Hridaya Yoga & Wholehearted Health, and Fundibots. We are so grateful for your support and guidance! A warm welcome to Edrine! The Yiya team is super excited to announce our newest team member, Mr Edrine Ssemwanga! Originally from Wakiso District in Central Uganda, Edrine is a recent graduate of Ashesi University in Accra, Ghana, where he graduated in June 2018 with his undergraduate degree in Management Information Systems. During his time as a student at Ashesi, Edrine acquired a rich background in student-led initiatives aimed at reducing poverty and teenage pregnancy, as well as promoting child literacy and youth skills development. His past experience includes interning as a research assistant at Joy For Children Uganda, in Bwaise. Edrine is joining our Programs team as the Programs Fellow, and will be supporting both our Program Director and the field team in Lira with all operations. We are so thrilled to have Edrine join our team! In addition to his enthusiasm for community development and youth skill-building, Edrine has many promising ideas for how to incorporate the ‘A’ (arts!) into STEM (science, technology, engineering, and math)…so that we are not just teaching our students STEM, but in fact STEAM! We are so grateful to Devon and David Cohn of Natembea Foundation for funding the Yiya Program Fellowship and making it possible for Edrine to join our team. Many, many thanks for your generous support! If you have been following our posts since January, you probably know already that earlier this year we designed an environmental engineering curriculum on Gravity Lights that we co-taught to students with our partner teachers in Term 1. In this unit, teachers taught their students how to apply the knowledge of pulley systems and gears to design a technology of Gravity Lights and promote it to their communities to reduce on excessive use of paraffin candles for lighting in rural Uganda. Paraffin candles are a health hazard when used indoors excessively and often cause house fires that injure family members, most often small children. Gravity Lights are a great way to have safe and environmentally-friendly lighting in the home! Catch the highlights from the Term 1 Gravity Lights lessons in our Term 1 impact report here. Now we are taking the experiments up a notch! As true engineers, both teachers and students have been requesting advice on how to improve their Gravity Lights so that they work better and for a longer period of time. In response to their feedback, we worked with local techies to try out different materials for the gears and dynamos. The gears in the first prototype were wooden and, when machined, the gear teeth were not a standard size. The inconsistencies in gear tooth size often led to jammed gears that stopped turning and then the light would go out. In addition to the wooden gear issue, the dynamos in the first prototype were too weak to power anything beyond a small LED…these were the best dynamos that our Yiya team could source in Kampala, the capital of Uganda, but they still were not strong enough to power a light bright enough to replace a candle. But after much experimenting, our techie saviors came up with an ingenious idea! They took apart old printers and salvaged their internal gears and pulleys, as well as their super powerful yet small motors. Printers have motors that can give out up to 12 volts, enough voltage to power even two 0.5 watt solar bulbs! They also contain so many gears of different sizes. Now, our newest prototype uses both the gears and motors from old broken printers to supercharge the Gravity Light! This prototype can light a brighter bulb (in fact, TWO brighter bulbs) and also can run for much longer. In addition, the recycled gears turn more smoothly and don’t jam the way the wooden gears used to. In our recent workshop with partner teachers in Lira District, we trained teachers to salvage gears, pulleys, and motors from dead printers to super charge their own Gravity Lights prototypes back at school. Teachers were absolutely thrilled! They are so excited to get back into the classroom in Term 3 and let students experiment to improve their prototypes with these new (old!) materials. Teachers left the workshop fully ably to extract these resources from dead printers, as well as to assemble them between two pieces of wood in a required velocity ratio, to create Gravity Lights. We also distributed 2-3 used printers per school as a start (students can find more if needed from local printing centers in Lira Town). This is a double win for our teachers and for the environment! In Uganda, the waste management system is essentially nonexistent and there are no good options for recycling electronics. Therefore, we are excited to find afterlife uses for these old printers! This is even better for our teachers and students, since printing centers are often overflowing with these dead printers and the printing center is only too happy to get rid of a few printers for free! At the workshop, teachers noted that it is much better to use motors and gears from printers, because (1) the motors can power two bulbs, and (2) the gears have well-crafted teeth that can easily drive each other unlike the gears cut from wood that they used in Term 1. The gears are in motion! See here our unfinished sample of the prototype of Gravity Lights that uses materials from old printers. We can’t share the finished Gravity Light because it is an engineering challenge for students in our partner schools, who will be sharing their improved prototypes at the Annual Yiya Interschool Engineering Competition & Community Showcase at St Katherine Secondary School in Lira on October 6th! Come join us for this exciting event and see the students’ improved Gravity Lights in person! Term 3 Workshop: Teachers Present! Teacher present their own engineering units! At Yiya, we just concluded our Term 3 teacher workshop, the final teacher workshop for the 2018 academic year! The excitement was high as the workshop approached since teachers were looking forward to sharing the technologies that students had made in Term 2. This was the first time that our partner teachers designed their own engineering lessons and they were very proud to show off the results from students! The Yiya field team has been faithfully supporting these teachers throughout Term 2 as they developed their units and implemented them in the classroom. It was so exciting to finally bring everyone together to show off the amazing engineering projects they had designed! The technologies that teachers designed units around were: organic pesticides, low-cost greenhouses, and cultivation and application of indigenous microorganisms. On the first day of the workshop, our partner teachers from the 6 Yiya pilot schools in Northern Uganda reflected and shared experiences on what it was like to design and teach their own engineering lesson plans in Term 2. By the end of Term 2, each school was able to complete the engineering design process through the CREATE step. On the second day of the workshop, the Yiya team helped teachers plan their lessons in Term 3, in which their students will complete the remaining steps of the engineering design process with their prototypes: the TEST and IMPROVE steps. We were so thrilled so see how our first cohort of educators have really grown into the role of designing engineering lessons from the subjects they teach at school. In addition, the feedback they gave each other on the lessons they designed was so constructive and tailored to both project-based learning and the national teaching syllabus. Mr. Edrine Ssemwanga, a recent graduate from Ashesi University in Ghana and our newest team member at Yiya, had this to comment about this workshop “I learnt that if you want to teach the students well, then teach their teachers right.” He added that “Yiya is indeed making learning in Northern Uganda ‘REAL’”. Read here to find out how we make learning REAL! At this workshop, teachers were also trained on how they will teach students to improve their Gravity Lights prototypes (the technology that they created in Term 1 during our environmental engineering unit) in time for the Annual Yiya Interschool Engineering Competition & Showcase! Do you want to see all the technologies that our teachers have trained their students to make since last year? Then, please come and attend our inter-school engineering competition this October 6th at St. Katherine Girls School in Lira District! Our Yiya team is busily getting ready for the upcoming MIT Solve 2018 Challenge Finals during UN General Assembly week in New York City. Yiya was among 15 finalists working in the education sector who were selected to do a live pitch at this premier social impact event! Yiya partner and incubator ResilientAfrica Network (RAN) has been so supportive of our team as we prep for our big pitch! 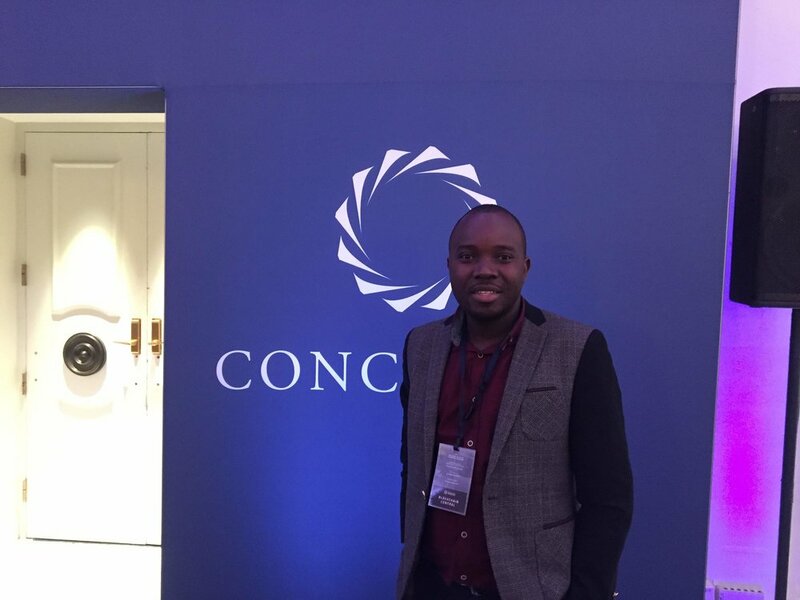 They hosted a mock pitch event for Yiya cofounder Samson Wambuzi to practice the Yiya pitch in front of a live audience of local experts in the social impact sector, who then gave us feedback on the presentation and content of our pitch. Many thanks to representatives from RAN, Unreasonable East Africa, Thin Void, and Hridaya Yoga & Wholehearted Health for attending this pitch and giving us their feedback. Many thanks also to Natembea Foundation and Impact Business Leaders for supporting us remotely and sending their advice and suggestions on the pitch as well! If you haven't heard the exciting news already...Yiya has been shortlisted as a finalist for the MIT Solve 2018 Global Challenges! We are finalists in the Teachers and Educators category. As part of this competition, we will be traveling to NYC at the end of September to pitch Yiya at the 2018 Solve Challenge Finals to kick off UN General Assembly week! Before we even get to NYC, MIT Solve has announced a community voting competition amongst all the finalists. Please consider voting for Yiya on the MIT Solve website! You can find and vote for our Yiya profile here. The finalist with the most votes will be honored with a Community Award at the MIT Solve pitch event! Happy voting! Yiya is a finalist for MIT Solve's 2018 Global Challenges! We at Yiya are so, so, SO VERY EXCITED to announce that we've been selected as a finalist for MIT Solve's 2018 Global Challenges!!! We have been invited to pitch Yiya at the Solve Challenge Finals on Friday, September 21 through Monday, September 24! The MIT Solve Challenge Finals in New York City is the premier social impact live pitch event to kick off UN General Assembly week. The event will bring together the Solve community with a diverse group of innovators who will pitch their solutions to a panel of expert judges and a live audience on Solve’s 2018 Global Challenges: (1) Coastal Communities, (2) Frontlines of Health, (3) Teachers and Educators, and (4) Work of the Future. We are so excited to be amongst the innovators who will be pitching our solutions at this event! We have been selected as a finalist in the Teachers and Educators category. Innovators in this category have designed solutions to answer this question: How can teachers and educators provide accessible, personalized, and creative learning experiences for all? 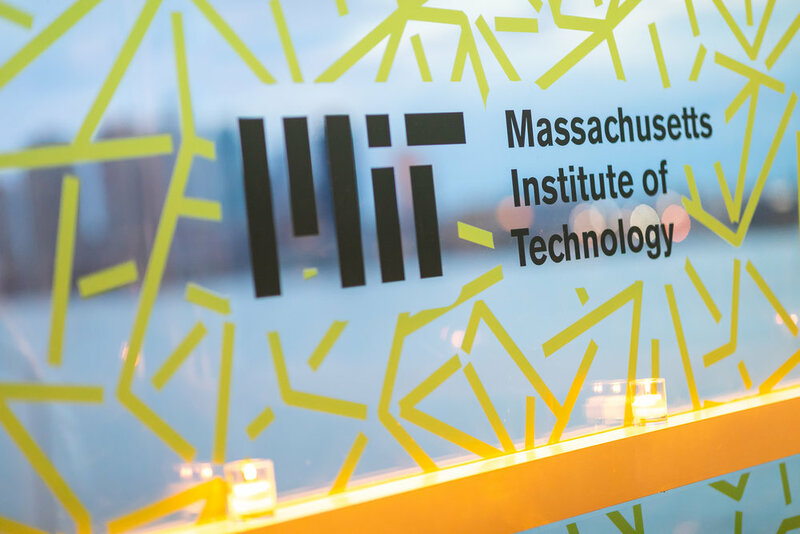 You can check out our MIT Solve application here! 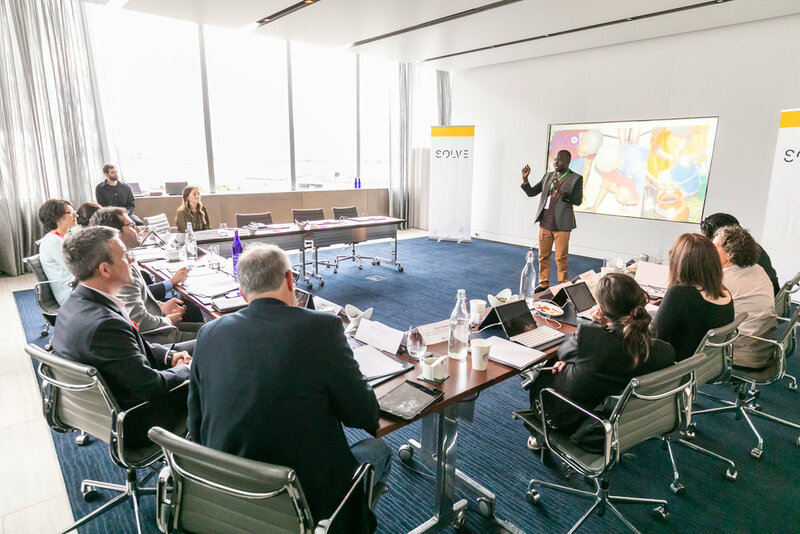 The entrepreneurs whose solutions are chosen by the judges at this event will become part of the next Solver class, and will join the Solve community to build partnerships with cross-sector leaders—including Solve members such as BNP Paribas, Google, Ford Foundation, GE Ventures, MasterCard Foundation, Merck, and Save the Children—that help pilot, scale, and implement their tech-based solutions and take action on specific, actionable Global Challenges. This year, Solve received more than 1,150 solutions from 110 countries—we are so honored to have been selected as a finalist by MIT Solve and are already hard at work developing our pitch! Many thanks to @SolveMIT for selecting Yiya as a 2018 finalist! This term, Yiya-trained teachers at Archbishop Orombi Secondary School and Lira Town College, both Yiya partner schools in Lira District- Northern Uganda, taught their students to apply the knowledge of science, mathematics and agriculture to design a technology that solves the problem of crop pests. The technology they made is an organic pesticide, which contained extracts from onion, garlic, neem, chili pepper, and other local herbs. Students worked in groups to research about the bacterial and fungal killing properties of the components that are contained in those ingredients and harnessed those properties to create their technology! Students followed an iterative process of experimenting and prototyping until they came up with an effective product. Educators and the Yiya team supported students to follow the engineering design process, a step-by-step guide on how to create a relevant, feasible, and needs-based technology. The sampled farmers around their school that tried this organic pesticide appreciated it and were impressed by the fact that students created it. This organic pesticide, when sprayed on crops, can repel most common crop pests! In the STEM Educator Training (SET) that we conducted with teachers this past April, we challenged teachers to design a STEM curriculum with about 4-6 lessons that teaches students to design a technology that solves an agricultural problem. This is one of the lessons that teachers designed after the workshop and we are so impressed by these teachers for implementing their lessons. We are also grateful to our field team in Lira for ensuring that these teachers got all the materials they requested to implement their units. Over 83% of youths lack jobs in Uganda (largely because of lacking employability skills), but we believe that this kind of education will change the status quo! Cultivating Indigenous Microorganisms (IMOs) at St. Katherines! The CREATE Step at St Katherine's! This week we are excited to share the technology that Yiya students at St. Katherine Girls Secondary School have created during the CREATE step of the engineering design process! These students are tackling the issues of crop disease and soil infertility by promoting organic farming practices in their communities! They are using agricultural engineering to cultivate indigenous microorganisms (IMOs). The application of IMOs has been shown to aid in soil mineral extraction and help with waste decomposition, as well as to boost the immunity of crops to diseases. Under the guidance of their teachers and our Yiya field officers, St Katherines students researched how to cultivate IMOs. They designed a process for how to grow the IMOs in a small forest behind their school, and built the apparatus that would house the IMOs and their food. After a few weeks, they have had great growth and are now harvesting their first generation of IMOs! Students are so excited to begin experimenting with the application of this first prototype to their school crops! Yiya teachers taking the lead! We are so grateful to these teachers and students for their dedication and hard work, as well as their innovative approach to solving the problem of poor soil quality and crops that are vulnerable to pests and disease. We are especially impressed by the fact that, unlike previous terms, lessons in this unit were independently designed and implemented by the teachers of St. Katherines themselves. These teachers have been coming to our Yiya teacher trainings since late 2016 and now they are designing and leading their own Yiya engineering lessons! We continue to provide teaching support but the teachers are in the lead! We are so excited and impressed by their great work. These teachers are disrupting the status quo of the current education system in Uganda. This is what we at Yiya Solutions, call “REAL” learning. Read here about our criteria for REAL learning. Indigenous microorganisms do not contain a single culture of beneficial microorganisms but rather a mixture of different microbes that are native to a particular region; it is a village of good bacteria! These bacteria promote soil health and assist plants by helping control the spread of harmful bacteria, accelerating the decomposition of waste materials, and supporting plants to extract important minerals from the soil to keep them strong and healthy. We are so proud of our Yiya teachers at St. Katherine Girls School for teaching and supporting students to create this technology! After the Yiya Interschool Engineering Competition & Showcase in early October, students will introduce IMO technology to farmers in Lira District to boost their organic farming practices. This week in schools, teachers and their students are engaged in the CREATE step of the engineering design process! Throughout July they identified common challenges in the agricultural sector in Northern Uganda, then researched different solutions, brainstormed how they could use their science and math skills to design a brand new (or improved!) solution, made engineering plans and gathered materials...and now it is time to CREATE their first prototypes! At Rapha Girls' School, teachers have designed an agricultural engineering unit on solutions to the challenges that persistent drought causes in their community. The students are designing small, low-cost greenhouses made from locally available resources to trap water released during the evapotranspiration process of plants. These greenhouses will prevent the water from evaporating so that the plants inside can reuse it once it has condensed back into the ground. In previous weeks students have done research on the water cycle as well as conducted experiments testing how much moisture different plants release during evapotranspiration. Now they are applying this knowledge to create their greenhouses! Each team of Yiya students at Rapha is building their own "mini-greenhouse" for the first prototype, which they will test later in August once all greenhouses are complete! See the photos below of students building their greenhouses! Well done, Rapha girls!